2nd Place: Recyclewise, St. Mary's CBS, The Green, Tralee, Co. Kerry . 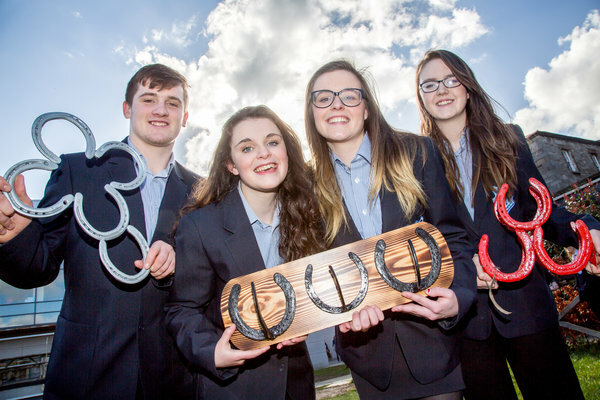 3rd Place: Simple Road Safety, St. Joseph's Community College, Lowpark, Charlestown, Co. Mayo. Griffith College Dublin wishes to challenge and reward creative, enterprising secondary school students from transition year, 5th year and 6th year across the country. We want you to develop a real product, use your social media marketing skills to promote your idea, and then present to a panel of judges and display your idea/product on 2020 DATE TBC. In teams of no more than 4 people, you are required to describe your enterprising business idea/product in a document of no more than 2,000 words (see marking scheme in link below). Entries will be shortlisted with successful applicants then moving to Stage 2 of the competition. In Stage 2, the shortlisted teams will be required to use their social media skills to market their business idea by creating a Facebook page and promoting it to as wide an audience as possible. Teams will then be invited to present their ideas to a panel of experts. Teams are encouraged to bring supporters from their schools and families for the day. In addition, the shortlisted teams will then be required to display their business idea/product in a pop up display on 2020 DATE TBC. NB - On the 2020 DATE TBC, school supporters will also be given the opportunity to attend business workshops designed by our Business faculty to provide an educational and interesting taste of third level life. The team will receive €1000 and their school will be awarded a €500 Bursary and the Griffith College Business Faculty Enterprising School Perpetual Trophy. The team will receive €300. The team will receive €200. Please send one copy of your completed Entry Form and Business Plan either by email or post to Emily Watts. You will receive email confirmation on receipt of your entry.